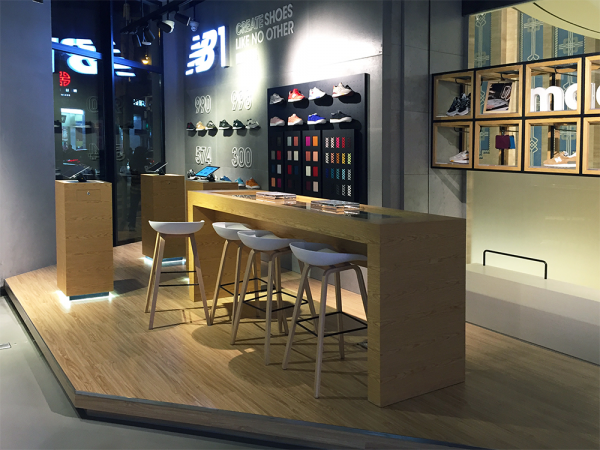 greater group have been designing New Balance's stores globally, including flagship stores in Boston, London, Milan, Tokyo, Korea, and are now proud to showcase our latest project with Shanghai's first New Balance Global Flagship Store. 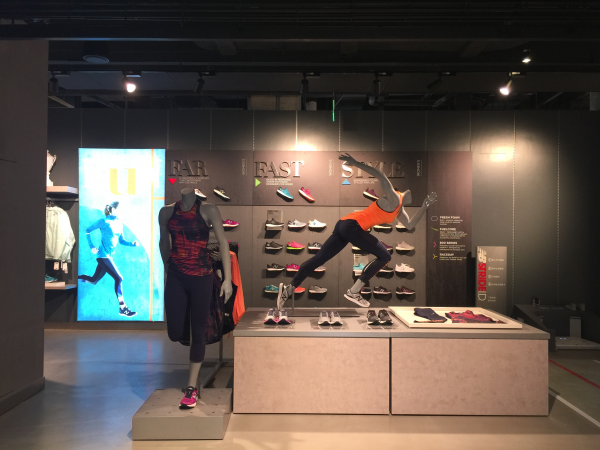 Over the past 3 years, greater group have developed retail stores and displays for New Balance to strengthen their retail presence worldwide. Working together closely with New Balance’s creative director in Hong Kong as well as the retail team in Boston, greater group’s Asia Design Team took New Balance’s century-long heritage and transformed this multi-level space in the heart of Shanghai into the brand’s ultimate retail experience. The two-level, 1500sqm flagship store houses an innovative and striking concept that represents the brand’s distinctive global brand DNA in Shanghai. Targeting the fashion-forward athleisure market in China, the design of the store fortifies a journey through of the brand’s past, present and future. 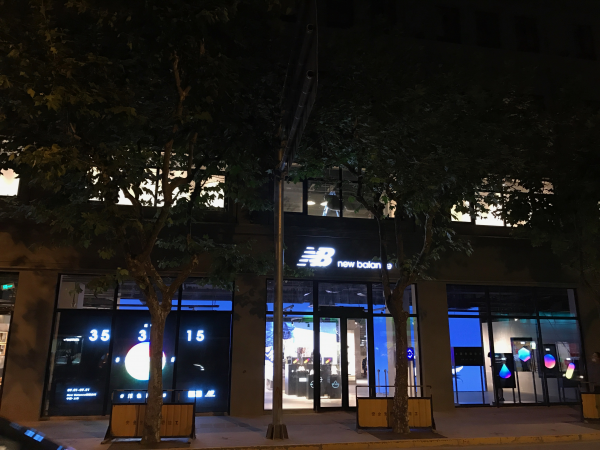 The brief to greater group, was that the New Balance - Shanghai Flagship Store needed to be a place that truly embodied the brand’s strong values, providing a unique retail experience unique to the brand and one that the Chinese market could not get anywhere else. 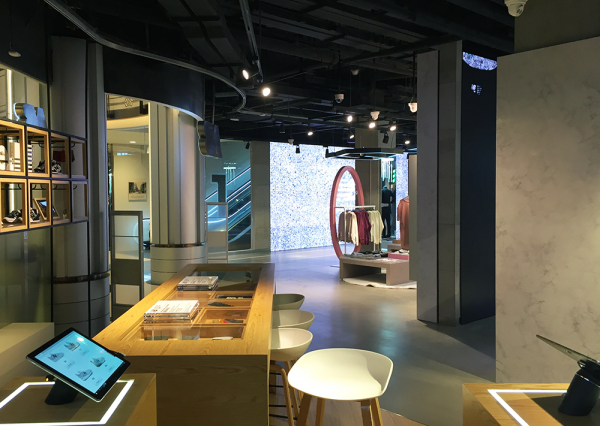 Hence every detail in the overall store was designed to complement the shopper experience including the use of audio and visual features throughout the store. Located in one of Shanghai’s prime heritage commercial buildings, the style and atmosphere of the space emphasises communication of New Balance’s values and identity to become a leader in innovation while remaining firmly rooted in the heritage of its past - as represented by the juxtaposition of styles between the mall’s romantic architectural exterior and New Balance’s innovative store design. From the moment you step into the store, you are taken on a journey that has been carefully curated to create the ultimate retail experience. 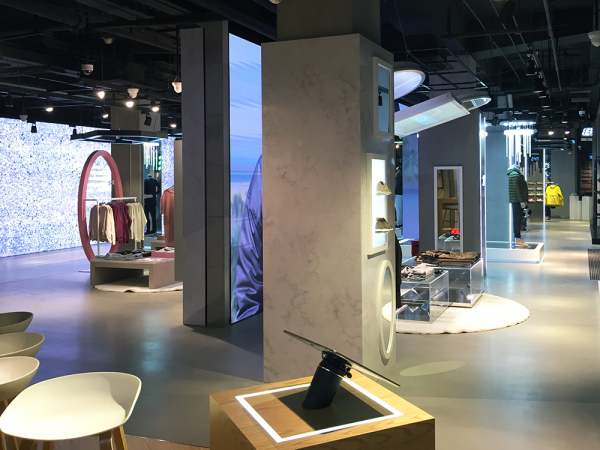 Presenting the brand's footwear and apparel in a raw-concrete environment, the spatial signature grey colour scheme is complemented with wooden panels and digital screens that provide a modern-day signage. 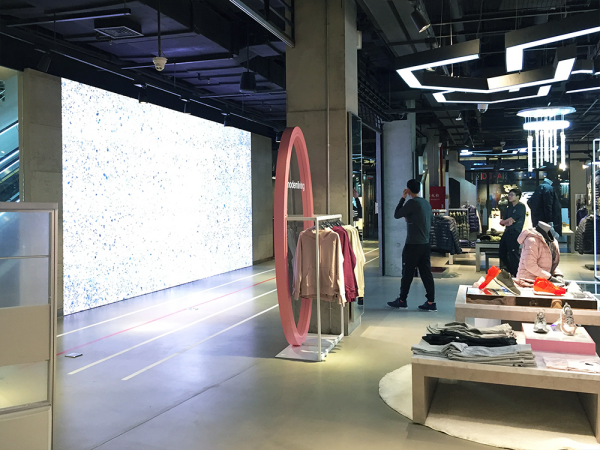 The vast digital screens within the retail floor downstairs creates an ever changing backdrop that can tailor experiences to specific events, new tech, products, and much more. 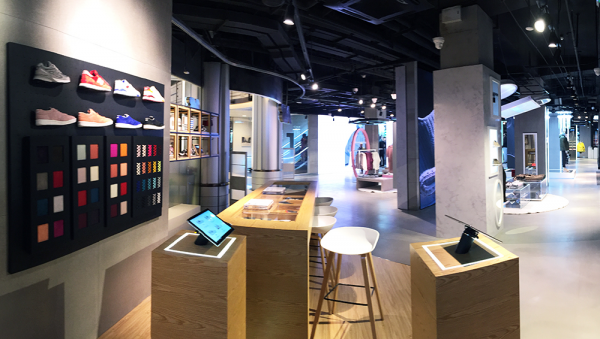 The store’s multi-sensorial experience is further enhanced through the different sections of the store, all having a specific purpose including an NB1 Section – where you can create your own pair of customised New Balance shoes. A wall of different shoe models and materials is a feature that’s unique to the store and this section truly pays homage to the interactive facet of the ultimate shopper store experience. The Chinese consumer sector looks vastly different today compared with just five years ago. Being the fastest growing market in the world, the Chinese retail market is one that is interesting and different for our client. Thus, every single aspect has been planned in great detail as we wanted to stand out from the crowd, grab the attention of shoppers and give customers a unique experience. Nestled within a hub of competing performance brands, this Shanghai flagship store was designed based a rigorous market research. Implementing the right strategy for a ground-floor store to be able to engage the street was also a challenge, especially it is located on a busy Shanghai's street. 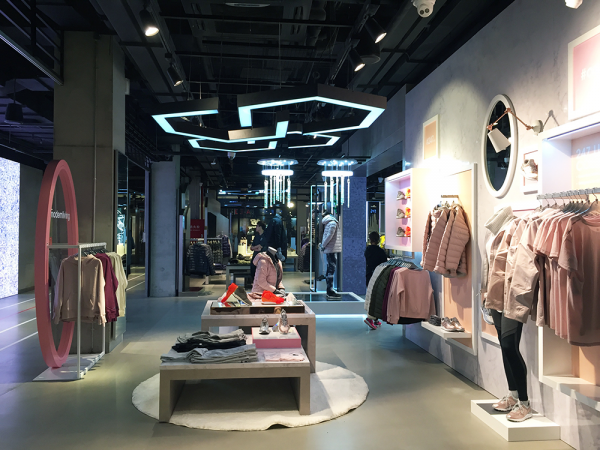 We had to ensure that we translated the concept of flexible space into long-term retail success, and that our design can be modernised and adapted to the environment easily. greater group delivers efficient design solutions that address operating costs and emissions. 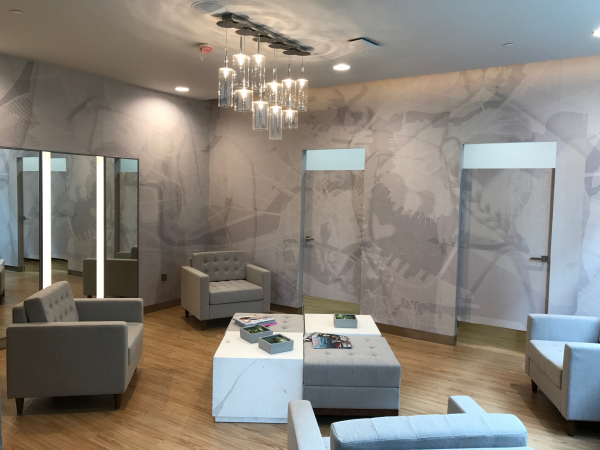 By providing solutions that re-use and re-program materials and spaces, we suggest design elements and specification options with the implicit intent of making stores greener. 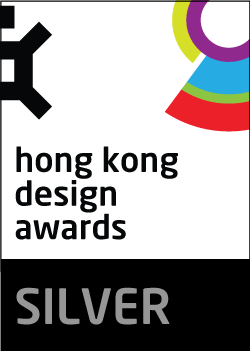 Our designers actively look and specify products and fittings that promote energy saving and/or carbon reductions. Through our modular and scalable concept for multi format-stores, we ensure project feasibility accommodates all facets of design direction and delivery.